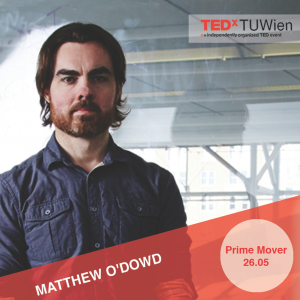 Astrophysicist Matthew O’Dowd spends his time studying the universe, especially really far-away things like Quasars, super-massive black holes and evolving galaxies. He completed his Ph.D. at NASA´s Space Telescope Science Institute, followed by work at the University of Melbourne and Columbia University. Currently he is a professor at the City University of New York´s Lehman College and an Associate at the American Museum of Natural Historys Hayden Planetarium. We are thrilled to hear about his Prime Mover. You too?